VoIP (Voice over Internet Protocol) is a technique makes it possible to make a voice call by internet. It is an alternative to voice calls using traditional telephony. Chater users, using standard, premium, and ultra accounts can make phone calls. Chater also allows to use VoIP. VoIP calls take place in the same way as using a phone, only the number that the consultant gives on chater account setting up is a VoIP number. To use VoIP calls, you need to have an account with one of the VoIP operators, such as SuperVoIP. After passing through the registration process, authorization is required. It can be done by sending a traditional transfer of at least PLN 20, which will be credited to the SuperVoIP account and by sending a scan of invoices for the mobile phone provided during registration. 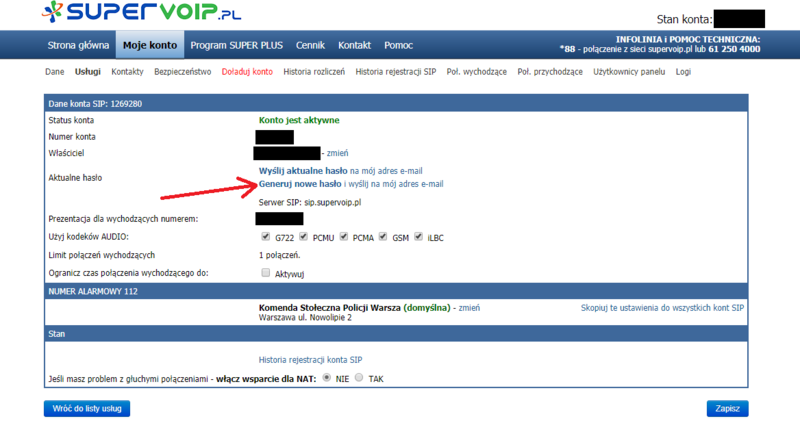 A net fee of PLN 1 PLN per month is charged for using SuperVoIP. The VoIP number that will be sent to us by the service provider should be specified in account settings.